Your household income may look high at first glance, but income is only one of several factors used to decide your child’s financial aid eligibility. Age of the older parent, household size, whether your family owns a small business, number of family members attending college simultaneously, and many other complex and interwoven factors figure in too. Any one of these factors could greatly increase your family’s eligibility for free money for college. 4. Parents can use multiple strategies to get extra free money for college from the FAFSA form. I provide 10 (ten) safe, legal, ethical strategies that parents can use to get thousands extra in financial aid money out of the FAFSA form. They’re too numerous to list here, but they’re all carefully detailed in chapter 10 of my book, LAUNCH. The best time to find out about these strategies and get all set to implement them? The winter and spring of your child’s 9th grade year. If your child is already further along in high school or even in college, though, it’s not too late. 5. If your fortunes happen to suddenly turn for the worse, you’ll want your kid to be in the pipeline to receive help. Every year there are very wealthy families whose fortunes turn suddenly and unexpectedly for the worse. People lose businesses. They divorce, lose jobs, or suffer house fires. They may get devastating medical diagnoses. If this happens to you, you’ll want your college-age children to be in the financial aid system where they can walk into a college financial aid office and get the help they suddenly need. 6. At the very least, you’ll want to qualify for the very best student loans if those become necessary. If your child does at some point (against all my pleading) end up taking out some loans to pay for college, you’ll want those loans to be the lowest-interest loans with the best possible repayment terms. The FAFSA form is the doorway not only to every need-based financial aid program in the US, but to the best, lowest-interest student loans as well. 7. It’s possible to politely ask colleges to give your child extra financial aid money. 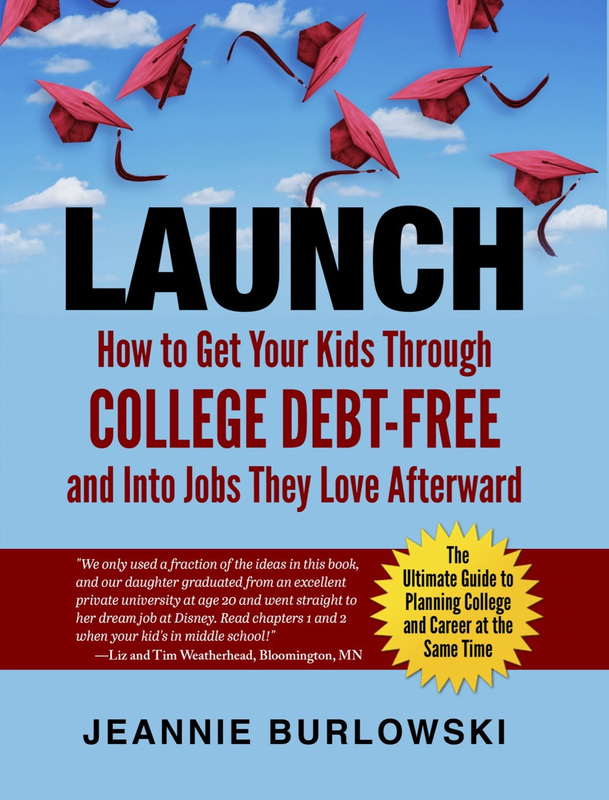 On pages 272–273 of my book LAUNCH, I list 12 specific circumstances where you’d be well-advised to ask your son or daughter’s college financial aid office to chip in extra money to help pay her college expenses. It’s possible to do this even if your child has already been in college for years. Page 273 also includes six sentences you can say to the financial aid office when asking for this help. The best time to take this step? In February or March, any year you’ll have a kid in college the following fall. To do it, though, you’ll need to have filled out the FAFSA form first. Avoid making these costly FAFSA mistakes. Every year, millions of parents make small mistakes on the FAFSA form that greatly reduce the amounts of money their kids are given for college. Don’t let this happen to you. Download my free article 30+ Common FAFSA Mistakes and How to Avoid Them. Read through it now, and then have it handy on your desk when you’re filling out the FAFSA. Your child may end up getting thousands in extra free money financial aid for college. So…you’re not filling out #FAFSA because you make too much #money? Here, 7 reasons to rethink that. Do you have friends who are parenting kids ages 12–22? Have you used any especially brilliant strategies for getting your kids extra financial aid for college? Comment below or LIKE Jeannie Burlowski Author on Facebook, find this post on that page, and let’s talk about it there.